For the past eight years there has been no credible body in West Bengal, to honour and award the work done by the film industry. West Bengal Film Journalists’ Association (WBFJA) was founded three years ago with the sole purpose of honouring the best in creativity and technical excellence in Bengali cinema from films released in the previous calendar year. Finally, after a lot of effort and with almost a zero budget, WBFJA finally succeeded in bestowing its first award ceremony. Incidentally, this also marked a pioneering event by virtue of the fact that the entire programme was the first event in the Eastern side of the country as it was digitally telecast on Addatimes.com. Arijit Dutta of Priya Entertainment generously provided Priya Theatre as the platform and venue of the award function. Senco Jewellers presented and sponsored the plaque that was the trophy given away to the winners. Awards were bestowed in 18 different categories of excellence in the creative segments and 8 awards in the technical categories picked from the 106 films released during 2016. This selection was done through nomination forms filled by members of the WBFJA from top films that found critical and popular acclaim among the viewers and the journalists filling in the score cards rating each category for each film out of a total of ten. 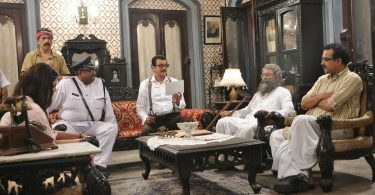 Interestingly, the entire horizon of releases last year was dominated by suspense thrillers, psychological thrillers and detective stories adapted from famous literary classics penned by Saradindu Bandopadhyay (Bymokesh Bakshi), Satyajit Ray (Feluda) and Shirsendu Mukhopadhay (Shabar Dasgupta) and most of these films were either big hits or reasonable hits at the box office. They were targeted at the mainstream audience with music, songs, glamour and chutzpah but fetched fewer awards than the rest in the shortlist. The authors and their novels turned into films are extremely popular to this day. In fact, each volume of Satyajit Ray’s Feluda series is a big sell-out during the book season and the book fair. 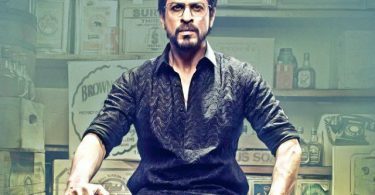 Most of the films were well-made and are by eminent filmmakers who have established their command over the language of cinema such as Anjan Dutt, Arindam Sil, Sandip Ray and so on. The competition was tough but commercially, it was well worth it. The Lifetime Achievement Award in memory of Satyajit Ray was rightly bestowed on veteran actress Madhabi Mukherjee for her outstanding contribution to Bengali cinema. Renowned filmmaker Tarun Majumdar was requested to do the honours of presenting her with the brass plaque. The award for the Best Film of the Year went to Cinemawala produced by Shri Venkatesh Films while the Hiralal Sen Best Director Award was received by the director, Kaushik Ganguly, for the same film. 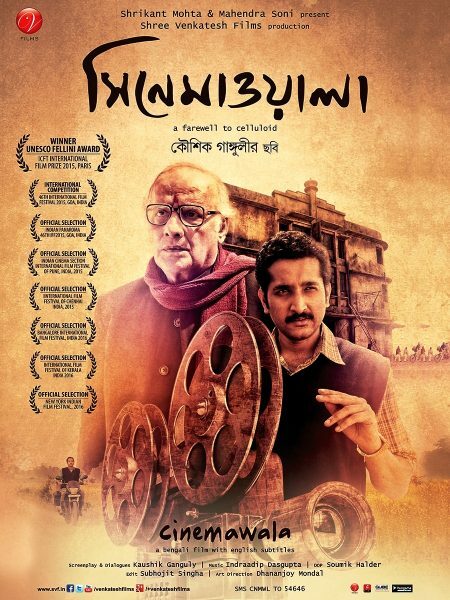 Cinemawala, a touching, emotional celluloid tribute to single-screen theatres in West Bengal has earlier won the UNESCO-Fellini award at IFFI 2015 screened at the New York Indian Film Festival, 2016, Hidden Gems Film Festival, Calgary, 2016, Chennai International Film Festival- (CIFF), Pune, International Film Festival, Indian Panorama Film Festival-Delhi, IFFK, Kerala and Bangalore International Film Festivals. The Best Actor Award was bagged by one of the most outstanding performers in Bengali cinema – Paran Bandopadhyay for Cinemawala who shared the honours with Prosenjit Chatterjee for the latter’s performance in Kamaleshwar Mukherjee’s Khawto. Prosenjit Chatterjee who remains the numero uno among heroes in Bengali cinema, has already won dozens of similar awards so Paran Bandopadhyay who never won a similar award any time before, could have enjoyed the monopoly at least for once. But this did not happen. Cinemawala also fetched Sohini Sarkar the award of the Best Promising Actress of the year. On the technical front, the film bagged the Best Editor Award (Subhajit Singha), and the award for the Best Sound Design (Anirban Sengupta). The biggest commercial hit last year was Praktan jointly directed by Shiboprosad Mukherjee and Nandita Roy and was in line for a cluster of awards in different areas. The film brought back the hit pair Prosenjit and Rituparna Sengupta in an amazingly concocted mainstream masala film and became an instant box office hit. It naturally bagged the Best Popular Film of the Year Award (Windows Production). The film is a regressive patriarchal statement on the institution of marriage where the female partner in an estranged partnership actually admits that she was in the wrong and should have treated the relationship differently! And the lessons of ‘ideal partnership’ she learns from her ex-husband’s present wife! Rituparna Sengupta bagged the Best Actress Award for her portrayal of the estranged wife though she has given much better performances before in other films. Aparajita Adhya won the Best Supporting Actress award for her role as the present wife of the estranged husband in the same film. Biswnatah Basu won the Best Comic Actor award for his performance in Praktan. Anupam Roy and Anindya Chatterjee who had jointly scored the music for Praktan won the Best Music Director award. Iman Chakraborty won the Best Playback Singer (Female) for her rendering of Tumi Jaake Bhalobasho in the same film. Anupam Roy won the Best Lyricist Prize for writing this song. Nitish Roy bagged the award for Best Art Direction which is nothing new for this creative artist who has already won a string of National Awards for his work mainly in Shyam Benegal films. 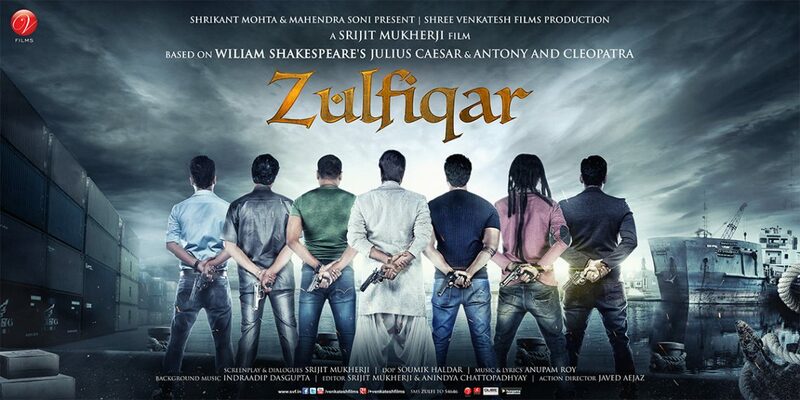 Zulifiqar, Srijit Mukherjee’s magnum opus that turned out to be a blood-splattered celluloid kedgeree of Willian Shakespeare’s Julius Caesar and Antony and Cleopatra, was flooded with negative reviews across the print media. However, it disproved the media by bagging awards in different sections. Nachiketa Chakraborty won the Best Playback Singer Award (Male) for the song purano ei mosjidey in the film. Actor Dev (Deepak Adhikari) won the Best Popular Actor Award for his silent performance in Zulfiqar while Jisshu Sengupta bagged the Best Actor in a Negative Role award for his magnificently villainous performance in the same film. Somnath Kundu was awarded for his masterful make-up of characters drawn up from classical literature to fit into contemporary times in Zulfiqar. The Rituparno Ghosh Award for the Best Promising Director went to journalist-director Pratim D. Gupta for his controversial take on the double-faced morality in contemporary culture in Shaheb Bibi Golam while the talented actor Rittwick Chakraborty won the Best Supporting Actor (Male) for his role of a cabbie in the same film. Sulagna Chaudhuri and Ajopa Mukherjee jointly won the award for the Best Costume Designer for the film. A long-overdue award went to the magical music master Bickram Ghose for the background score of Arindam Sil’s detective thriller Eagoler Chokh which also fetched the award for the Best Promising Actor (Male) for Anirban Bhattacharya for his wonderful performance of a psychologically confused character in the film. Kaushik Ganguly’s Bastu Shaap got him the award for the Best Screenplay while Rana Dasgupta was bestowed the Best Cinematographer Award for his outstandingly brilliant cinematography in Bappa Bandopadhyay’s swansong Sohra Bridge.